Children with Cancer UK are the UK’s leading children’s cancer charity, dedicated to raising money to fund research fighting all childhood cancers. 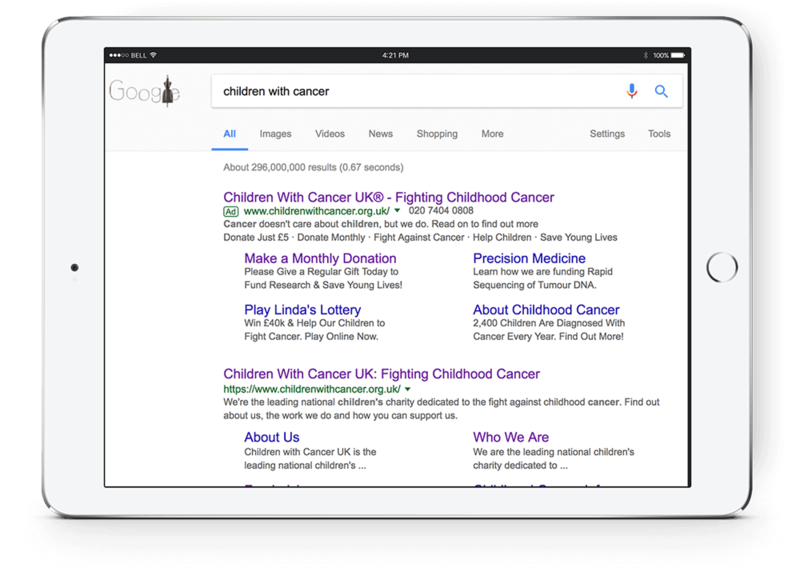 When Children with Cancer UK approached us, their website was looking dated and failed to put the most important content front and centre. This often left engaging and important content buried under an inconsistent, messy and hard to follow site structure. A full content audit, usability project and redesign, would resolve these issues, taking their user experience to a higher level. 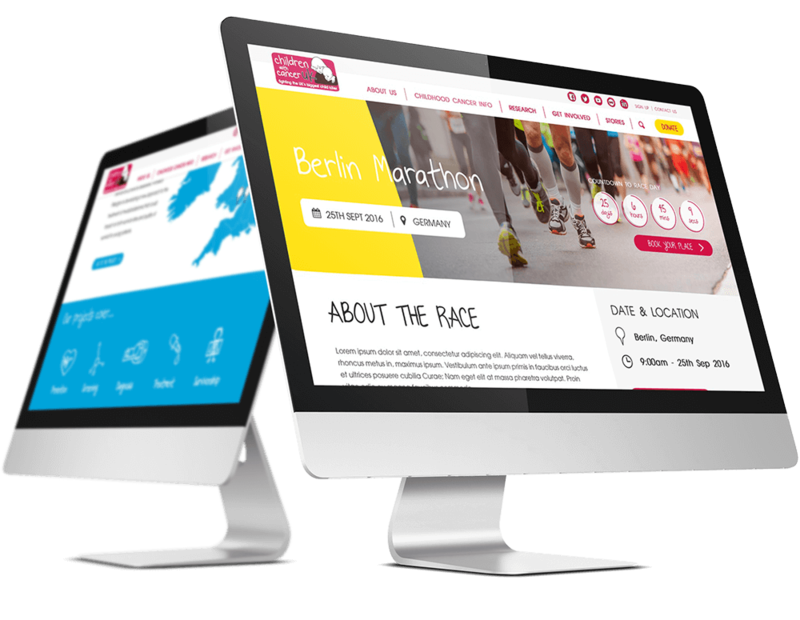 We wanted to resolve numerous issue with the Children with Cancer UK site, which included buried or hidden content and a dated design. Therefore, we agreed to tackle each issue directly by conducting a usability project, website restructure and redesign that would modernise the brand and place content front and centre, while crucially maintaining the sensitivity required when discussing this delicate subject. Before any work on the site could begin, we needed data! 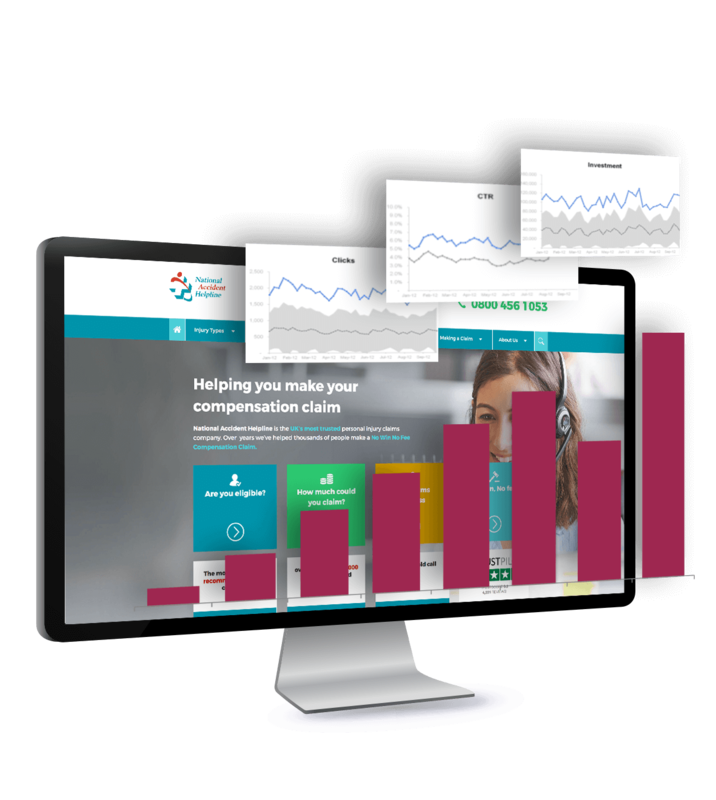 We conducted an in-depth usability project using both Google Analytics data and various target customers to gain a better understanding of what potential donors, fundraisers and researchers felt the website’s strengths, weaknesses and causes of frustration. 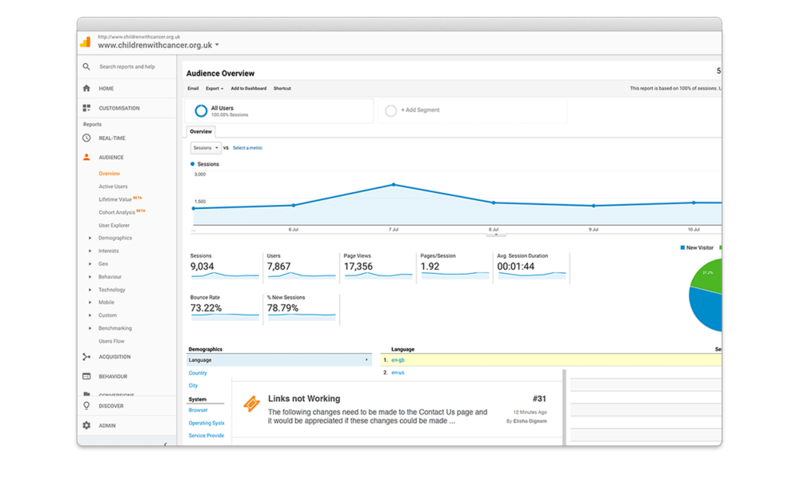 After gathering insights from the above, we improved the user journey, content prioritisation and SEO by providing easy access to the most engaging and highly searched-for content. This involved simplifying the menus and merging several sections of content which had been scattered across various pages on the site, resulting in unnecessarily duplicated content. We crafted designs for each of the key pages across the site, focusing on delivering the objective of each page and again, bringing key, engaging information to the forefront. We developed new designs simultaneously ensuring that we remained inlne with the key aims of the business: stimulating engagement through fundraising, research or donations. 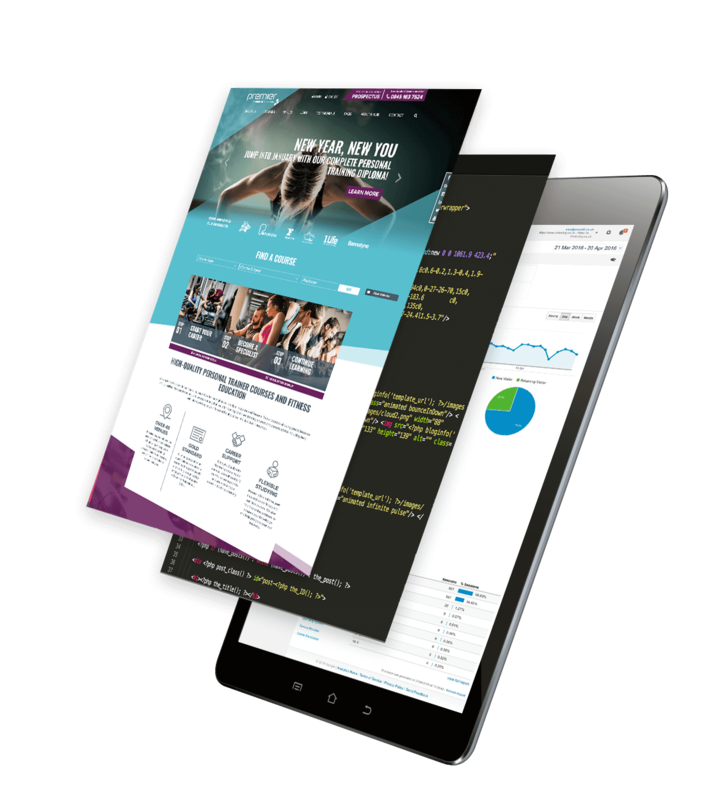 During development, we migrated the site from a bespoke, rigid CMS, to a flexible, agile and customisable CMS; WordPress. 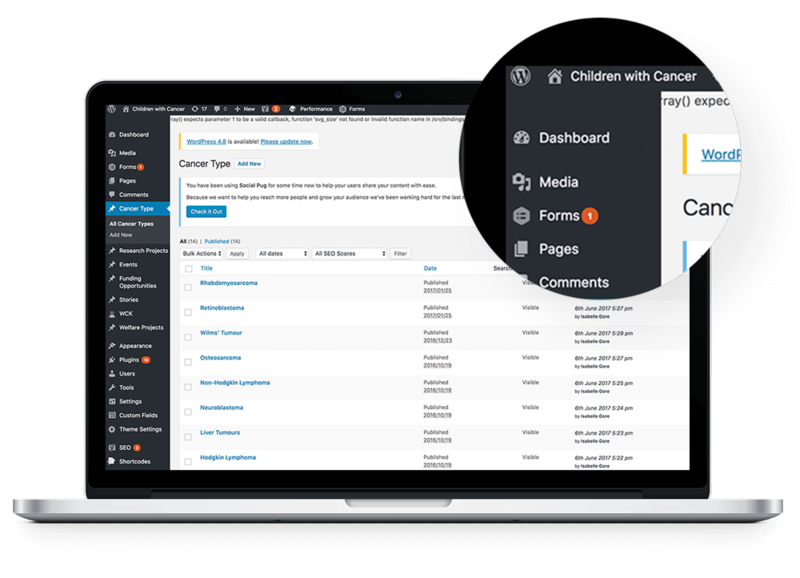 This allowed us to implement a huge number of custom fields and optional page builders, providing the client with freedom to create, edit and manage their own content, with very limited development knowledge. We built the new site with SEO at its very foundation. Through a thorough information architecture map, we match each URL, page title, H1, content and description to a specific keyword, eliminating risk of cannibalization and lost rankings. 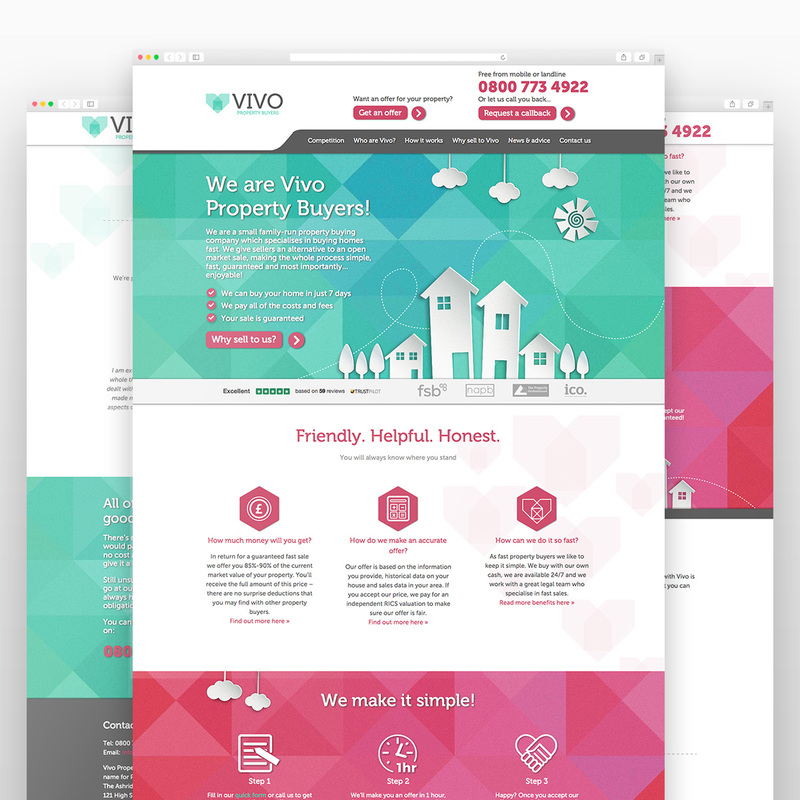 We also went through the site with a fine tooth comb ensuring each internal link, image, 301 redirect and more was perfectly optimised to maximum SEO value. Redesigning the Children with Cancer UK website was a particularly gratifying challenge. We invested significant time in examining and fully understanding the primary roles of the website, the different users and each of the website sections meaning that when it came to the design and build, we were well equipped to produce a website that delivered regardless of the user or the goal. It was extremely satisfying to do such great work for such a worthy cause: saving young lives.